This is a hand-tinted black and white photograph of a young man taken perhaps about 1900, about whom nothing is known. 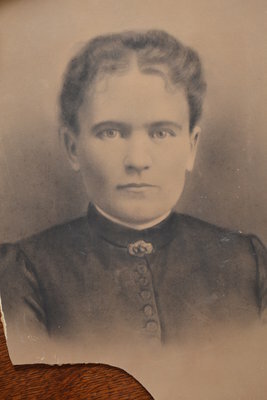 There may be a connection to the southwest of Mississauga and the southeast of Oakville as it came from the estate of Myrtle Speck who lived in Clarkson, Mississauga. On the back of the large image is written, "Sherman Harris". There are initials, "L.?L. ", "693" and what looks like "Verschojle".